Short Stories is a collection of beginnings, endings and resurrections, invisible bonds between life, death, decay, and rebirth; A unique collection of short stories ranging from the abstract to the explicit. Short Stories features a diverse range of photographic talent, from established masters to complete unknowns, with a story to tell. Short stories is a journey though the confessions and desires of a series of haunted minds. Sometimes the story is more obvious, sometimes abstract but always engaging. One of the most provocative and diverse photographic exhibition this year, Short Stories is a journey from the darkness of life as a prostitute betrayed by her own sexuality, though the ecstasy and violence of a destructive relationship, to the serene foreignness of altered states of mind. The private view is free entry and open to all and will take place from 6pm on 1st of November 2012 at Forman’s Smokehouse Gallery in Hackney Wick, London. As part of the gallery’s continuing support for young and emerging artists, the exhibition will also be showcasing the work of 13 year photographer Eylul Keskin, with her story of childhood lost. 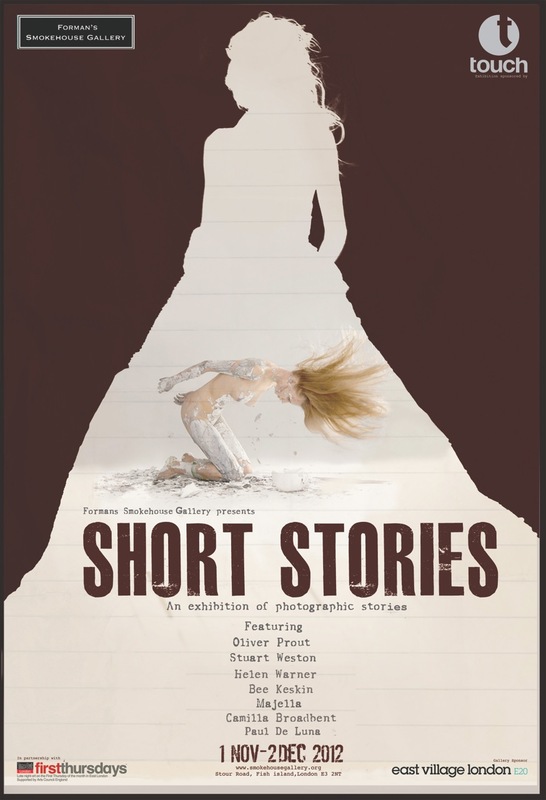 The Short Stories exhibition at Formans Smokehouse Gallery will run from Thursday 1st of November to Sunday 2nd December 2012. ~ by smokehousegallery on October 29, 2012.